WELCOME TO CARROLL REAL ESTATE! 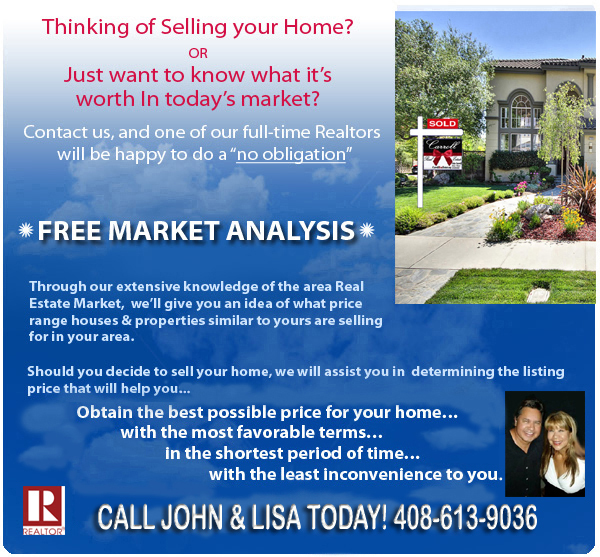 This is your ONE STOP website providing ALL the information and resources needed to help you sell or buy a home. How much home loan can you afford? We've built our business by building relationships! That's what sets us apart from the rest. We know it’s about us listening and understanding your needs and working for you. We walk you through the process from start to finish. Our goal is to help you achieve your Real Estate goals with your comfort and convenience at the forefront. How we work: Click here to see an example of how we work to sell your home! We'll build a Virtual Tour like this one for your home! We are at your service! Whether you're selling or buying, feel free to use our website and contact us by phone or email so we can help you with all of your real estate needs! People always ask us... "How is the Market?" So in response to this question, we designed this market report to give you an overall perspective of the current Market Trends in Santa Clara County. 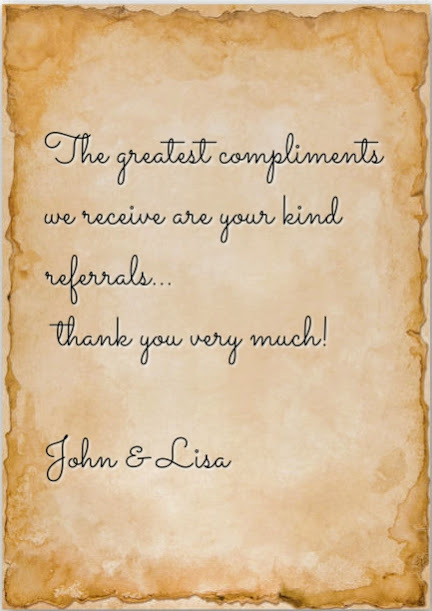 We also want to thank everyone for your kind referrals! Remember we are never too busy to help you or someone you know with their real estate needs. We will go the extra mile to make sure they are completely satisfied with their home sale or purchase. 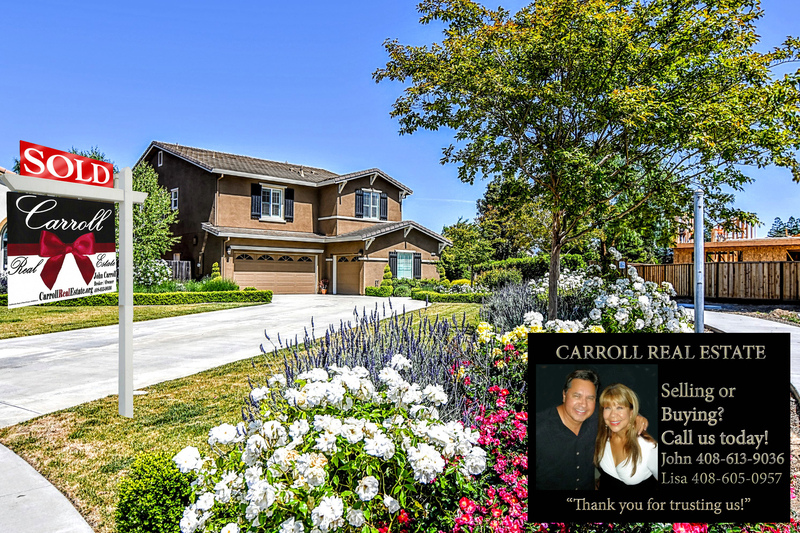 Follow us on Facebook: "CARROLL REAL ESTATE"
"Whether you're looking for your first home, your dream home or an investment property, I'm committed to providing you with the highest quality buyer service. When making the type of investment that buying a home requires, you deserve to have all the latest market information and the very best advice, both of which I can provide you with." Read more. "The decision to sell a home is often dependent on many factors. Whatever your reasons are for selling, my proven effective marketing strategies will ensure that you get the highest possible price for your home. I guarantee to provide you with professional, ethical and confidential service and keep you fully informed every step of the way." www.SanJoseSoldHome.com. and the following zip codes but not limited to: 94022, 94024, 94041, 94043, 94085, 94086, 94087, 94301, 94304, 94305, 94306, 95002, 95008, 95013, 95014, 95030, 95032, 95050, 95051, 95054, 95070, 95110, 95111, 95112, 95117, 95118, 95119, 95120, 95123, 95124, 95125, 95126, 95127, 95128, 95129, 95130, 95131, 95132, 95133, 95134, 95135, 95136, 95138 Read more. CLICK HERE: See a home you like? Let us help you! Click here for a Free Real Time Value Estimate!